I am reading the beast in the garden and got reacquainted with the night of the Long knives. I think this might be an interesting single figure style Skirmish game. 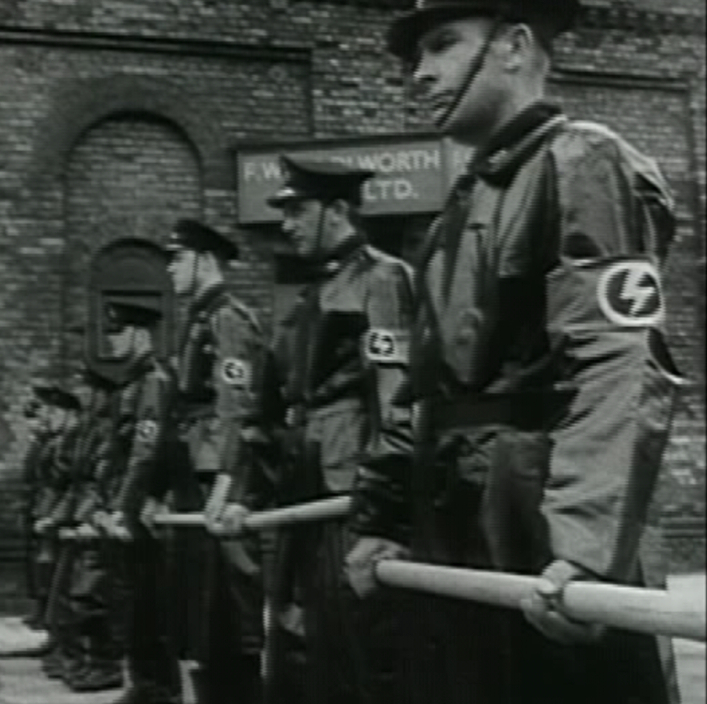 Black uniform SS, Brown shirt SA, green Police, field gray Army, civilian Gestapo. Can someone point me to a book that covers this episode in detail? This would of course be a "what if" game. Assuming Röhm was expecting Hitler to arrive At the hotel and had troops ready to defend themselves . A dozen or so of each troop type, more SA. Thanks guys, I knew of those pulp figures. 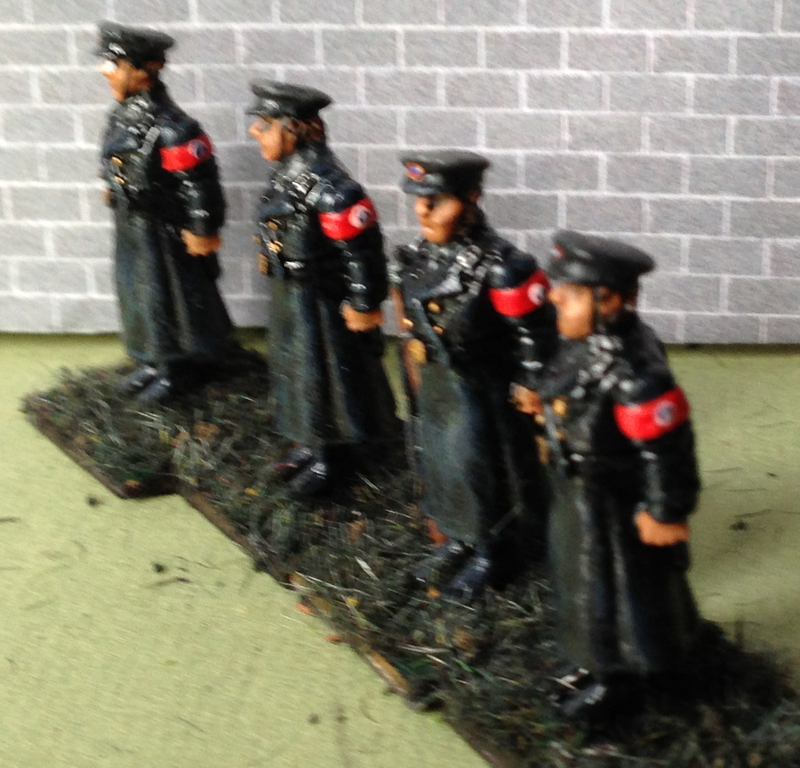 I had converted some into VBCW immediate action organization police. But I remembered them as Gestapo, not SS. Thanks for reminding me that these are exactly what I need. Now I just need a book about the night of the Long knives. Don't you find it the least bit creepy to be gaming a Nazi atrocity? It wasn't just the SA leadership that was murdered. It was anyone perceived to be political opponents. "The regime did not limit itself to a purge of the SA. Having earlier imprisoned or exiled prominent Social Democrats and Communists, Hitler used the occasion to move against conservatives he considered unreliable. This included Vice-Chancellor Papen and those in his immediate circle. In Berlin, on Göring's personal orders, an armed SS unit stormed the Vice-Chancellery. Gestapo officers attached to the SS unit shot Papen's secretary Herbert von Bose without bothering to arrest him first. The Gestapo arrested and later executed Papen's close associate Edgar Jung, the author of Papen's Marburg speech, and disposed of his body by dumping it in a ditch. The Gestapo also murdered Erich Klausener, the leader of Catholic Action, and a close Papen associate. Papen was unceremoniously arrested at the Vice-Chancellery, despite his insistent protests that he could not be arrested in his position as Vice-Chancellor. Although Hitler ordered him released days later, Papen no longer dared to criticise the regime and was sent off to Vienna as German ambassador. Hitler and Himmler unleashed the Gestapo against old enemies, as well. Both Kurt von Schleicher, Hitler's predecessor as Chancellor, and his wife were murdered at their home. Others killed included Gregor Strasser, a former Nazi who had angered Hitler by resigning from the party in 1932, and Gustav Ritter von Kahr, the former Bavarian state commissioner who crushed the Beer Hall Putsch in 1923. Kahr's fate was especially gruesome. His body was found in a wood outside Munich; he had been hacked to death, apparently with pickaxes. The murdered included at least one accidental victim: Willi Schmid, the music critic of the Münchner Neuste Nachrichten newspaper. As Himmler's adjutant Karl Wolff later explained, friendship and personal loyalty were not allowed to stand in the way."